Esther Ndeti is an Executive Director at the East Africa Private Equity and Venture Capital Association (EAVCA) and has experience in program management, fundraising & business development as well as extensive networks in the entrepreneurship and investment ecosystem in East Africa. 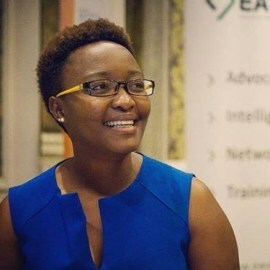 Prior to joining EAVCA, Esther worked for the Aspen Network of Development Entrepreneurs (ANDE) where she coordinated ANDE’s activities in the region. Ms. Ndeti has a BSc in Mechanical Engineering from the University of Nairobi.